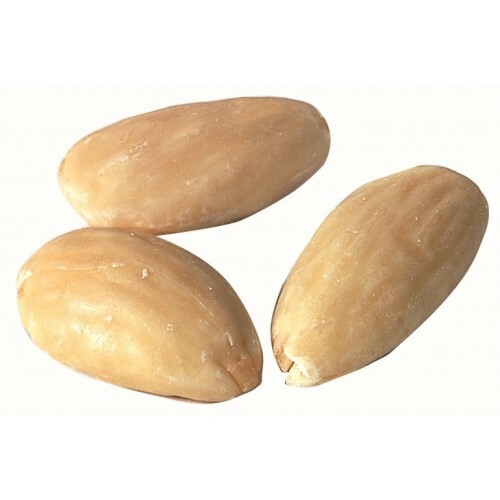 For cooking and baking, sometimes you need an almond without the skin. This "blanching" is a multiple-step process. First, the almond is scalded in boiling water, much like blanching a peach, and then immediately dipped in cold water to make the soft skin separate from the nut kernel. Then the nut and skin are "spit" through rollers to remove the nut and skin and finally the nut is dried over a conveyer belt using a special drying oven. 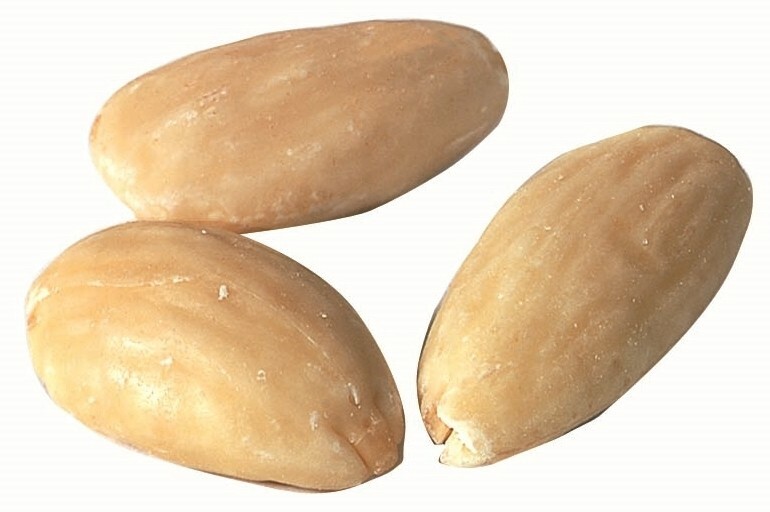 The blanched almond costs more because of the extra processing, but also because it weighs less without the skin!